And why technology has to spoil you the fun of a video?? Because your memories are too precious to be handled by anyone. Because it is easy to shoot… but far more complicated to prepare the video from your camcorder to the needs of your editing (without sacrificing the quality of the shooting)! Because everyone is not an expert in video technology. Because manufacturers of camcorders have created a 'new incomprehensible terminology' to describe their videos (1080i50, 720p25, HDV 1080i60, etc) and editing softwares use a 'different terminology' (25i, 25p, 30i, etc). Because your editing softwares have some specific needs to keep the quality of your shooting during all its editing. Because you have specific needs for your editing. Or because you want more than your editing software propose to you when importing videos ;-). 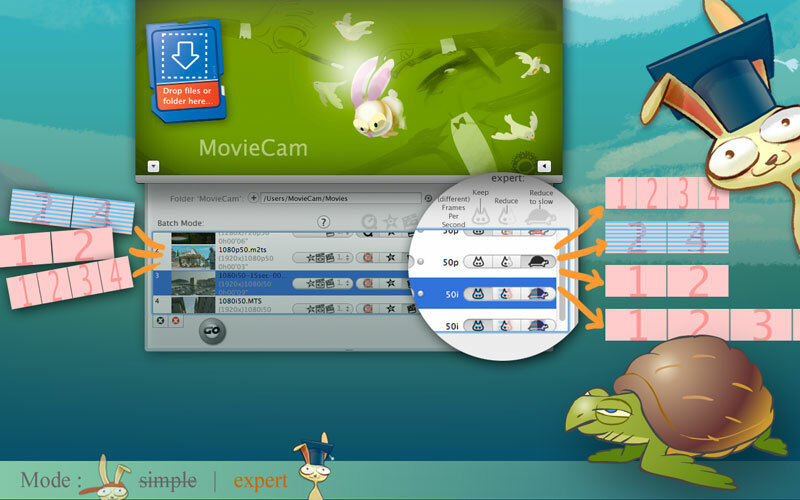 Drag and drop a file, some files or a whole folder on MovieCam and the previously not-useable videos from your camcorder will be conformed. Adapt to editing software needs (depending on source's properties). Keep source's properties during conversion (size, framerate, etc), whatever editing software needs. Unify every sorts of videos: Force conversion (size / frame rate). You just want a -good- preparation of your videos? 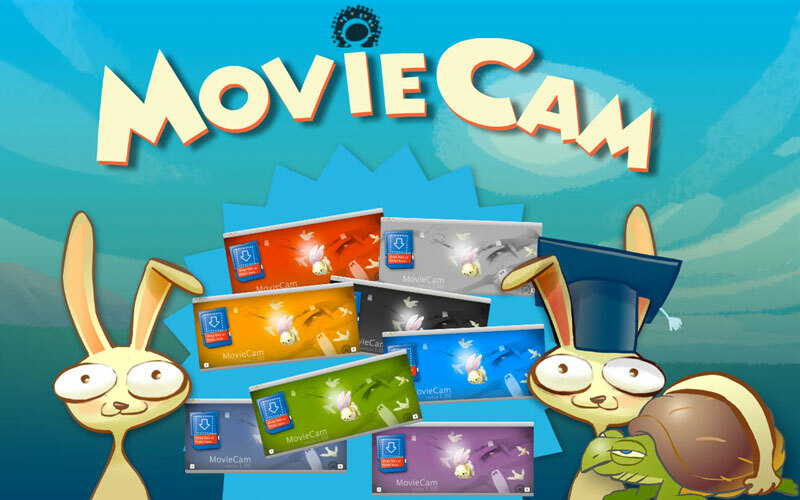 Let MovieCam automatically handles the process. You have some special needs? You use FCPX and you want to remove 'comb effects' inside your video, but without degrading the quality? …it's available (conversion i50 -> p50). You want to make an editing with videos from multiple camcorders shooting differently? …it's available (choose some preset, to unify your different videos). You want to make a slow-motion from your video which contains 'more images than necessary'? …it's available (option 'expert' &amp; click onto the turtle). (Reserved to non-"comb's effects" video). Make your video QuickTime natively compatible. Very fast. Conform your video for editing in iMovie or Final Cut Express. Convert for editing in Final Cut Pro (and with your prefered ProRes codec: from 'Proxy' to '4*4'). Keep all informations from your original video. Too high frame rate, or "comb's effect"? …Simplify your complex video. Too many images or "comb's effect"? …The opportunity to make a nice slow motion.